Just a few days after arriving at the International Space Station (ISS), humans and robots to busily removing the array of payloads from both the inside and the outside of the CRS-14 Dragon. 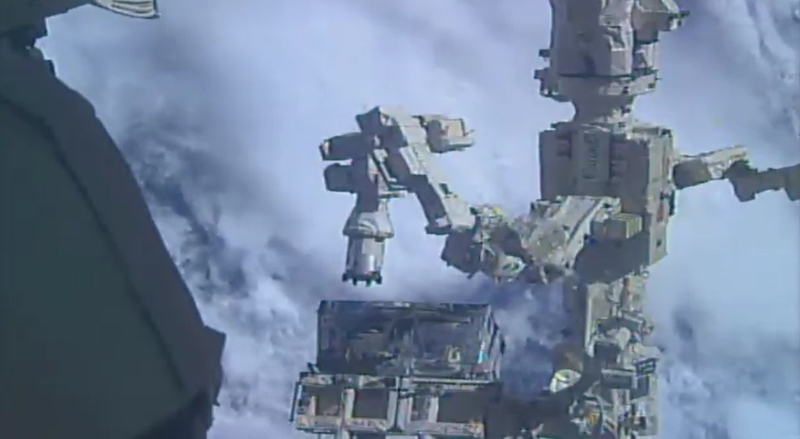 Now berthed to Node 2, ISS crewmembers are removing packages of supplies from within the pressurized module, while the Canadian robot Dextre is removing external payloads from her trunk. 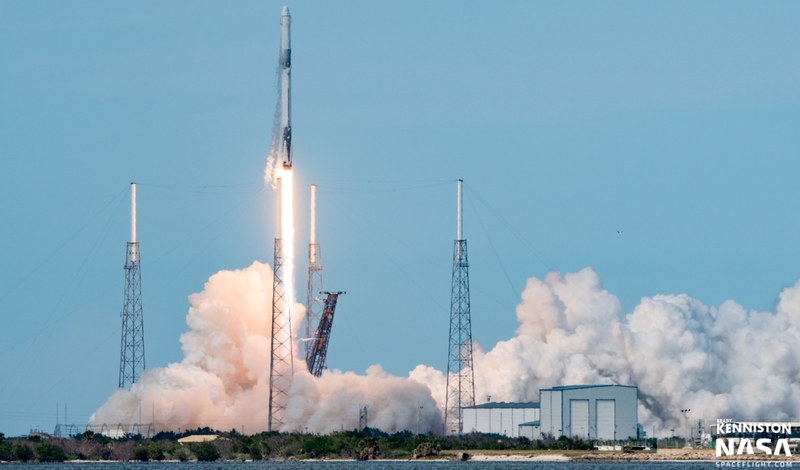 Dragon was launched by her Falcon 9 launch vehicle (B1039.2) on Monday, before spending two days chasing down the ISS for a capture, berthing and installation. Some last minute preparations were required ahead of berthing, following an issue with the snares that physically grab on to the spacecraft ahead of being pulled towards the Station and berthed to Node 2. No further information was provided before the launch took place. However, the lack of the launch date slipping pointed towards an unknown solution being found. That has now been revealed in updated ISS status information. “SpaceX 14 Berthing: SpaceX Dragon was successfully berthed to Node 2 Nadir. The Space Station Remote Manipulator System (SSRMS) used a forced based capture for the first time to grapple Dragon. Forced based capture is a software enhancement to the Latching End Effector (LEE) that reduces loads on the snare cables. 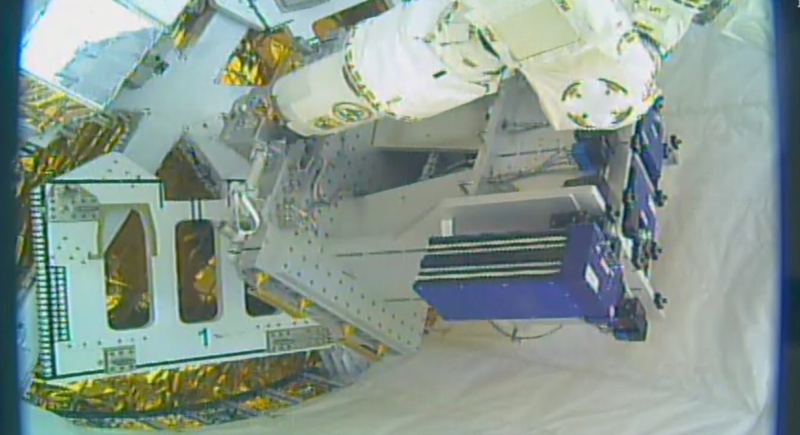 Now firmly installed on the ISS, and as such released by the LEE, Dragon will reside on the Station until next month. The interim berthed period will mainly involve the removal of upmass provided by the Dragon, before re-filling the vehicle with items to be returned to Earth. Following the retirement of the Space Shuttle fleet, the ISS only has the Dragon vehicles to provide this service. 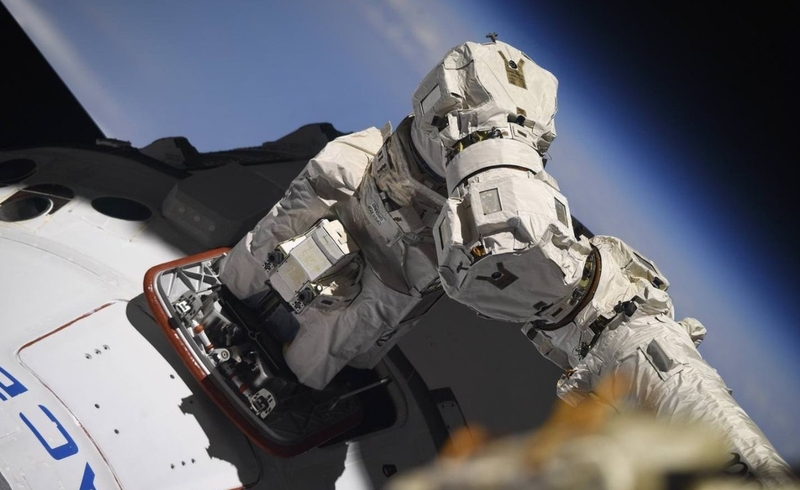 While the ISS crew started to remove the multitude of supplies from the pressurized module, the Special Purpose Dexterous Manipulator (SPDM) – better known as Dextre – got to work removing the external payloads in the unpressurized trunk section of the Dragon. First out was the Pump and Flow Control Subassembly (PFCS). This is being stored on the ISS as a spare in case of a future failure with the Station’s Thermal Control System. 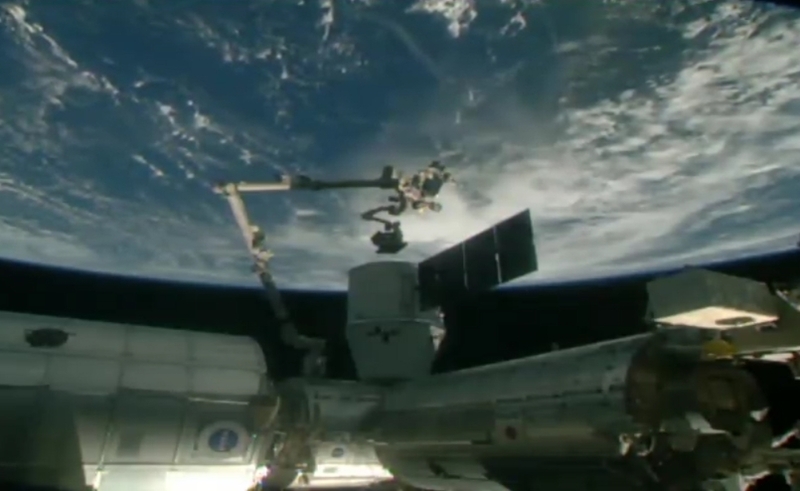 Dextre removes the PFCS from Dragon. The ISS has had its fair share of issues with the Photovoltaic Thermal Control System (PVTCS), which routes ammonia coolant to allow for the transportation of heat from electrical components located within the Integrated Equipment Assembly to a Photovoltaic Radiator. Next out of the trunk was the Materials International Space Station Experiment – Flight Facility (MISSE-FF). MISSE payloads are no strangers to the ISS, having flown numerous times over the years. They are based around providing an experimental testbed that is mounted externally on the Station to allow for the investigation into the effects of long-term exposure of materials to the harsh space environment. MISSE evaluates the performance, stability, and long-term survivability of materials and components planned for use by NASA, commercial companies and the Department of Defense (DOD) on future Low Earth Orbit (LEO), synchronous orbit, and interplanetary space missions. The third and final payload located in the Trunk is the Atmosphere-Space Interaction Monitor (ASIM) is an external payload that will be mounted for at least two full years on the outside of the European Space Agency’s (ESA’s) Columbus module. However, in response to a question from NASASpaceFlight.com, this payload won’t be removed until April 13. ASIM will be studying lightning from thunderstorm clouds up to the edge of space and flashes of high energy radiation called terrestrial gamma-ray flashes that come from thunderstorm clouds. The experiment will also quantify the effects of gravity waves on the mesosphere, study high-altitude cloud formation, and determine the characteristics of thunderstorms that make them effective in the perturbation of the high-altitude atmosphere. Moreover, ASIM will help improve our understanding of the effect of dust storms, pollutants from large cities, forest fires, and volcanoes on cloud formation and electrification, as well as the intensification of hurricanes and that intensification’s relation to eye-wall lightning activity. When all the payloads have been removed and Dragon has been refilled with downmass – which will also include Robonaut-2, which is due to be reserviced back on Earth – Dragon will prepare for a splashdown in the Pacific Ocean for recovery. The next Dragon, CRS-15, is currently scheduled to launch in June.